e-Chromic Technologies is developing an innovative reflective electrochromic thin film that enables users to control light and solar heat transmission through windows. Windows are the single greatest source of energy waste within most commercial and residential buildings. Our diffusely reflective electrochromic thin film will reduce air conditioner usage and related CO² emissions by ~35%. Unlike most other smart window technologies, our electrochromic window film is completely user controllable. On sunny warm weather days, it can be switched to reflective mode to significantly reduce solar heating through windows and dramatically reduce air conditioner usage. During cold weather days, it can be switched to transparent mode, allowing solar heating to assist with interior warming, therefore reducing heating system usage. DOE energy models indicate that our reflective technology will deliver 43% greater energy savings than state of the art absorptive technologies at less than half the cost. Dynamic window technologies on the market today turn dark when activated, causing them to absorb sunlight and convert it to heat. In order to isolate this “heating problem” (which can reach 60°C), providers must build their dynamic window surfaces into the interior of expensive new window units. Our proprietary patented electrochromic thin film turns diffusely reflective when activated. This uniquely reflective technology does not suffer from the “heating problem” of the absorptive technologies. Therefore, our thin film can be used to retrofit installed windows. It can be applied from inside an office or home to existing windows, transforming them into highly energy efficient smart windows, cost effectively and with a minimum of occupant dislocation. Make your windows part of the "internet of things." An estimated 536 million ft² are installed in commercial buildings in the US. Most of these buildings were constructed prior to implementation of ASHRAE standards in 1990. It is estimated that approximately 90% of installed windows in commercial buildings are not energy efficient. This results in an addressable market for retrofit that is measured in billions of dollars for the US alone. International market opportunities are even more attractive due to significantly higher costs for electricity. Our proprietary reflective electrochromic technology was invented at the US Dept. 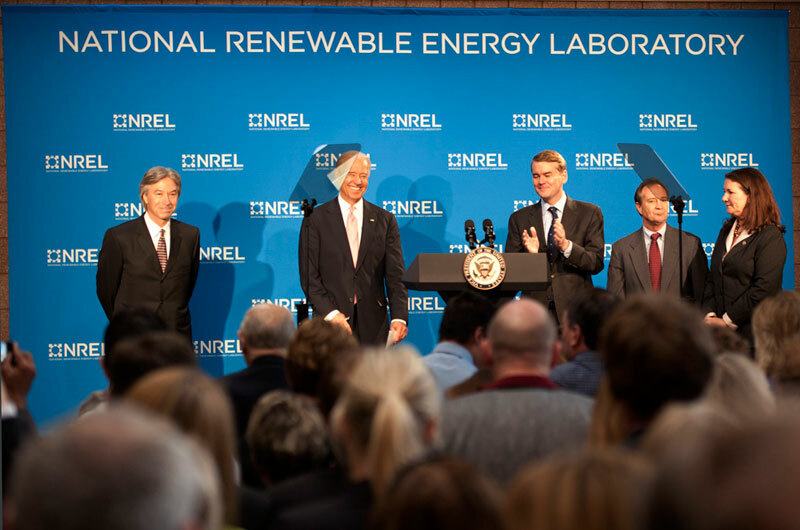 of Energy’s National Renewable Energy Laboratory (NREL) in Golden CO. We have an exclusive license with NREL to develop and commercialize this patented technology. Our electrochromic film will be wirelessly powered by the sun. It can be wirelessly controlled through an interface with a building management system, iOS or Android device. Your windows join the Internet of Things (IoT), Smart Buildings and Smart Cities. Our reflective film can also be deposited onto flat glass and be built into new windows. Our reflective technology is well suited for automotive glass. It reduces solar heating on hot days and allows solar heating on cold days, thus increasing range between charges for electric vehicles.